● Each hose are leak tested with 100% nitrogen. ● These ANSI Z21.54 hose connectors are engineered and manufactured to the highest specifications in the industry. ● Sturgis uses only UL-certified steel in the inner core and domestic CA360 brass on the milled end fittings in order to exceed all CSA connector certifications. High quality propane hose fittings by M.B. Sturgis. ● Our fittings and hoses are compatible with Gas Flow quick connect fittings, and also the popular Hansen and Sturgis fittings. They are not compatible with Snap Tite products. ● Quick connect/disconnect fittings for the larger size hoses are available by special order but may take a few weeks. ● These U.S.-made hoses remain flexible even on extreme cold weather conditions. ● We offer free shipping to 48 U.S. States for these and all of our products. 100NP484 - 3/8" ID Natural Gas or Low Pressure Propane Quick Disconnect Hose with 3/8" Female Gas Flare Swivel x 3/8" QD Male Plug. The 3/8" ID hose is rated for 5 PSI Max and can be operated with Natural Gas or Low Pressure Propane. Our hose sizes are NOT measured by the Outside Diameter, we measure the Inner Diameter. This hose requires an Optional 3/8" ID Female Socket, see below our model # 104001 or 104007. (A Dust Cap is included with the purchase of each hose). 3/8"ID Custom hoses are available upon request. Give us a call. 713.222.6095. 6 ft. 1# 10 oz. 10 ft. 2# 13 oz. 12 ft. 2# 14 oz. 15 ft. 3# 11 oz. 20 ft. 4# 5 oz. Stainless Steel Overbraid and High Temperature Poly-Jacketing. The 3/8" ID hose is rated for 5 PSI Max and can be operated with Natural Gas or Low Pressure Propane. Our hose sizes are NOT measured by the Outside Diameter, we measure the Inner Diameter. This hose requires an Optional 3/8" ID Female Socket, see below our model # 104001 or 104007. Having a Stainless Steel Overbraid hose gives more protection over the hose and makes it almost squirrel-proof or to any other critters. (A Dust Cap is included with the purchase of each hose). 3/8"ID Custom Stainless Steel Overbraid hoses are available upon request. 6 ft. 2# 2 oz. 10 ft. 2# 4 oz. 12 ft. 3# 14 oz. 15 ft. 4# 2 oz. 20 ft. 5# 0 oz. 104NC001 - 3/8" ID Female NPT x 3/8" ID Quick Disconnect Female Socket. This 3/8" ID Female Quick Disconnect Socket is rated for 5 PSI Max and can be operated with Natural Gas or Low Pressure Propane. (A Dust Plug is included with the purchase of each socket). We offer free shipping to 48 U.S. States. Wt. 6 oz. 104NC007 - 3/8" ID Female NPT x 3/8" ID Quick Disconnect Female Socket with Integral Ball Valve. This 3/8" ID Female QD Socket with Integral Ball Valve is rated for 25 PSI Max and can be operated with Natural Gas or Low Pressure Propane. We offer free shipping to 48 U.S. States. Wt. 9 oz. 375QDDP - Dust Plug for 3/8" ID Quick Disconnect Female Sockets. ● The outside diameter of the Dust Plug iinsert is approximately 1/2". ● This item does not qualify for return or exchange. ● Plugs fit both our model # 104001 and 104007. 3/8" ID Female QD Socket, since one is already included. NGO3BOX - 3/8" ID QD Ball Valve Socket Stainless Steel Cover Box. 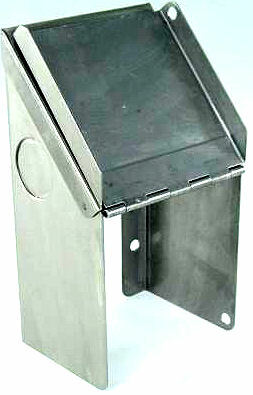 This Stainless Steel Cover Box its for our model # (104007) the 3/8" ID Quick Disconnect Ball Valve Female Socket. 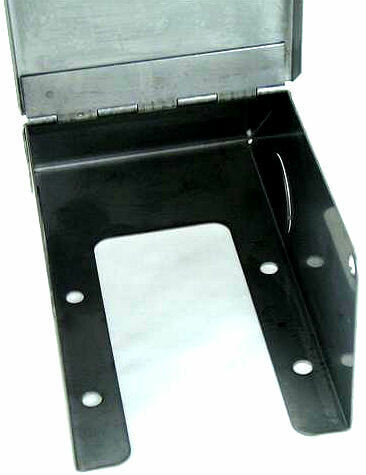 Install the female socket facing down to the desired location, the box has four mounting holes to screw the box over it. It contains a flipping lid to give you access to the ball valve and socket, also it has a small hole drilled on the right side of the lid to use for a small safety lock. The female ball valve socket its NOT included, purchase the (104007) Ball Valve Socket separately. This box will not work with the larger 1/2" ID model # (104023) ball valve socket. Dimensions: 3 1/2" L x 3" W x 6" H.
We offer free shipping to 48 U.S. States. Wt. 13 oz. 401NC207 - 3/8" ID Female NPT x 3/8" ID Quick Disconnect Male Plug. This 3/8" ID Male QD Plug can be used with Natural Gas or Low Pressure Propane. (A Dust Cap is included with the purchase of each plug). We offer free shipping to 48 U.S. States. Wt. 2 oz. 375QDDC - Dust Cap for 3/8" ID Quick Disconnect Male Plugs. ● The outside diameter of the Dust Cap is approximately 1/2". ● Dust Cap colors may differ. ● Cap fit for our model # 401207 Plug, Hoses 100484 and 100462. 3/8" ID Hose or a QD Male Plug, since one is already included. NYC - 3/8" ID Gas Convenience New York City Outlet Kit. This 3/8" ID Gas Convenience New York City Outlet Kit it's used to be permanently placed in an open area sidewalk or patio for quick connecting outdoor appliances to gas lines. 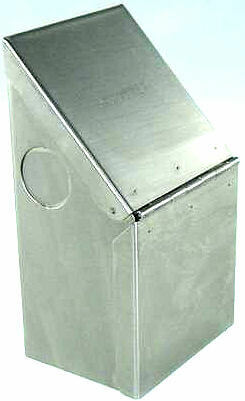 It includes (2) 3/8" thick cast aluminum lids which one of them provides a flush surface when its not in use and the other one a 1/2" high domed space when using an outdoor appliance, also contains a 3/8" Quick Disconnect Female Ball Valve Socket and a 3/8" ID Stainless Steel Overbraid (8ft long) Hose with one end fitting of a 3/8" Male Quick Disconnect Plug and the other side a 3/8" Male NPT swivel. 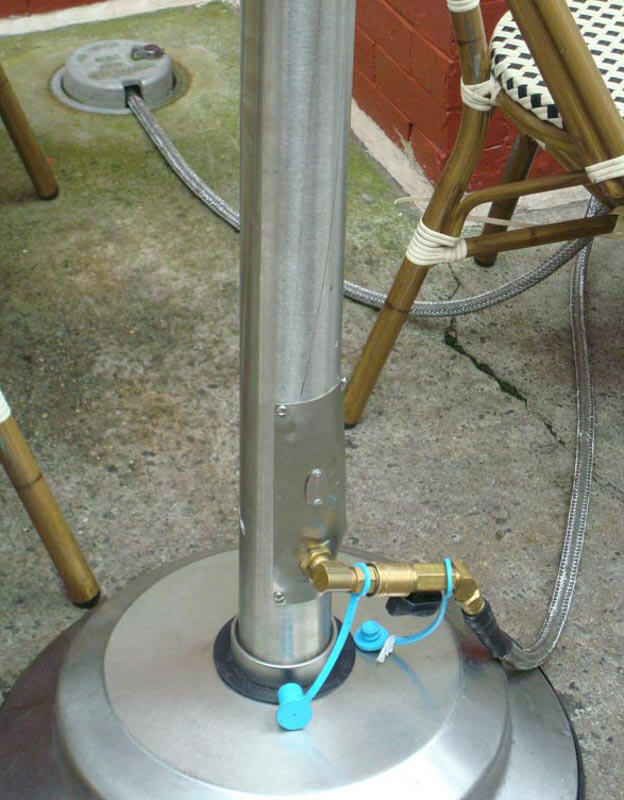 Outlet Kit can be used with Natural Gas or Low Pressure Propane. It consists of a High Temperature shut-off device which its intigrated in the ball valve female socket, 3/8" thick cast aluminum, CSA Certified and it's Approved for Indoors & Outdoors. 100NP358 - 1/2" ID Natural Gas or Low Pressure Propane Quick Disconnect Hose with 1/2" Female Gas Flare Swivel x 1/2" QD Male Plug. The 1/2" ID hose is rated for 5 PSI Max and can be operated with Natural Gas or Low Pressure Propane. Our hose sizes are NOT measured by the Outside Diameter, we measure the Inner Diameter. This hose requires an Optional 1/2" ID Female Socket, see below our model # 104NC088 or 104NC023. (A Dust Cap is included with the purchase of each hose). 1/2"ID Custom hoses are available upon request. 8 ft. 2# 13 oz. 12 ft. 3# 11 oz. 15 ft. 4# 9 oz. 20 ft. 6# 0 oz. The 1/2" ID hose is rated for 60 PSI Max and can be operated with Natural Gas or Low Pressure Propane. Our hose sizes are NOT measured by the Outside Diameter, we measure the Inner Diameter. This hose requires an Optional 1/2" ID Female Socket, see below our model # 104NC088 or 104NC023. Having a Stainless Steel Overbraid hose gives more protection over the hose and makes it almost squirrel-proof or to any other critters. 1/2"ID Custom Stainless Steel Overbraid hoses are available upon request. 6 ft. 3# 2 oz. 12 ft. 4# 10 oz. 15 ft. 6# 1 oz. 20 ft. 8# 0 oz. 104NC088 - 1/2" ID Female NPT x 1/2" ID Quick Disconnect Female Socket. This 1/2" ID Female Quick Disconnect Socket is rated for 5 PSI Max and can be operated with Natural Gas or Low Pressure Propane. Socket it's CSA certified for Indoor and Outdoor use in USA and Canada. 104NC023 - 1/2" ID Female NPT x 1/2" ID Quick Disconnect Female Socket with Integral Ball Valve. This 1/2" ID Female QD Socket with Integral Ball Valve is rated for 25 PSI Max and can be operated with Natural Gas or Low Pressure Propane. We offer free shipping to 48 U.S. States. Wt. 1# 7oz. 4QDDP - Dust Plug for 1/2" ID Quick Disconnect Female Sockets. ● The outside diameter of the Dust Plug insert is approximately 3/4". ● Plugs fit both our model # 104088 and 104023. 1/2" ID Female QD Socket, since one is already included. 401506 - 1/2" ID Female NPT x 1/2" ID Quick Disconnect Male Plug. This 1/2" ID Male QD Plug can be used with Natural Gas or Low Pressure Propane. (A Dust Cap is included with the purchase of each plug). 4QDDC - Dust Cap for 1/2" ID Quick Disconnect Male Plugs. ● The outside diameter of the Dust Cap is approximately 3/4". ● Cap fit for our model # 401506 Plug, Hoses 100358 and 100450. 1/2" ID Hose or a QD Male Plug, since one is already included. 46-8D - Brass Adapter, 1/2" Female NPT x 1/2" Male Gas Flare. 48-8D - Brass Adapter, 1/2" Male Gas Flare x 1/2" Male NPT. 100NP585 - 3/4" ID Natural Gas or Low Pressure Propane Quick Disconnect Hose with 3/4" Male NPT Swivel x 3/4" QD Male Plug. The 3/4" ID hose is rated for 5 PSI Max and can be operated with Natural Gas or Low Pressure Propane. Our hose sizes are NOT measured by the Outside Diameter, we measure the Inner Diameter. This hose requires an Optional 3/4" ID Female Socket, see below our model # 104089 or 104090. (A Dust Cap is included with the purchase of each hose). 3/4"ID Custom hoses are available upon request. We offer FAST free shipping to 48 U.S. States. The 3/4" ID hose is rated for 60 PSI Max and can be operated with Natural Gas or Low Pressure Propane. Our hose sizes are NOT measured by the Outside Diameter, we measure the Inner Diameter. This hose requires an Optional 3/4" ID Female Socket, see below our model # 104NC089 or 104NC090. Having a Stainless Steel Overbraid hose gives more protection over the hose and makes it almost squirrel-proof or to any other critters. 3/4"ID Custom Stainless Steel Overbraid hoses are available upon request. 104NC089 - 3/4" ID Female NPT x 3/4" ID Quick Disconnect Female Socket. This 3/4" ID Female Quick Disconnect Socket is rated for 5 PSI Max and can be operated with Natural Gas or Low Pressure Propane. 104NC090 - 3/4" ID Female NPT x 3/4" ID QD Female Socket with Ball Valve. This 3/4" ID Female QD Socket with Ball Valve is rated for 5 PSI Max and can be operated with Natural Gas or Low Pressure Propane. We offer free shipping to 48 U.S. States. Wt. 1# 11oz. 5QDDP - Dust Plug for 3/4" ID Quick Disconnect Female Sockets. ● The outside diameter of the Dust Plug insert is approximately 1". ● Plugs fit both our model # 104089 and 104090. 3/4" ID Female QD Socket, since one is already included. 401NP606 - 3/4" ID Female NPT x 3/4" ID Quick Disconnect Male Plug. This 3/4" ID Male QD Plug can be used with Natural Gas or Low Pressure Propane. (A Dust Cap is included with the purchase of each plug). 5QDDC - Dust Cap for 3/4" ID Quick Disconnect Male Plugs. ● The outside diameter of the Dust Cap is approximately 1". ● Cap fit for our model # 401606 Plug, Hoses 100585 and 100607. 3/4" ID Hose or a QD Male Plug, since one is already included. 3/4" Male NPT Swivel x 3/4" Male NPT Swivel. The 3/4" ID hose is rated for 5 PSI Max and can be operated with Natural Gas or Low Pressure Propane. Our hose sizes are NOT measured by the Outside Diameter, we measure the Inner Diameter. Minimum hose length is 16". Give us a call. 713.222.6095. Stainless Steel Overbraid hose gives more protection over the hose and makes it almost squirrel-proof or to any other critters. 1" Male NPT Swivel x 1" Male NPT Fixed. The 1" ID hose is rated for 5 PSI Max and can be operated with Natural Gas or Low Pressure Propane. Our hose sizes are NOT measured by the Outside Diameter, measure the Inner Diameter. 1"ID Custom hoses are available upon request. Minimum hose length is 24". Give us a call. 713.222.6095. 1"ID Custom Stainless Steel Overbraid hoses are available upon request. 1 1/4" Male NPT Swivel x 1 1/4" Male NPT Fixed. The 1 1/4" ID hose is rated for 5 PSI Max and can be operated with Natural Gas or Low Pressure Propane. Our hose sizes are NOT measured by the Outside Diameter, we measure the Inner Diameter. 1 1/4"ID Custom hoses are available upon request. The 1 1/4" ID hose is rated for 60 PSI Max and can be operated with Natural Gas or Low Pressure Propane. Our hose sizes are NOT measured by the Outside Diameter, we measure the Inner Diameter. Having a Stainless Steel Overbraid hose gives more protection over the hose and makes it almost squirrel-proof or to any other critters. 1 1/4"ID Custom Stainless Steel Overbraid hoses are available by request. 1 1/2" Male NPT Swivel x 1 1/2" Male NPT Fixed. 1 1/2"ID Custom hoses are available upon request. The 1 1/2" ID hose is rated for 60 PSI Max and can be operated with Natural Gas or Low Pressure Propane. Our hose sizes are NOT measured by the Outside Diameter, we measure the Inner Diameter. Having a Stainless Steel Overbraid hose gives more protection over the hose and makes it almost squirrel-proof or to any other critters. 1 1/2"ID Custom Stainless Steel Overbraid hoses are available by request. 2" Male NPT Swivel x 2" Male NPT Fixed. The 2" ID hose is rated for 5 PSI Max and can be operated with Natural Gas or Low Pressure Propane. Our hose sizes are NOT measured by the Outside Diameter, measure the Inner Diameter. 2"ID Custom hoses are available upon request. 2"ID Custom Stainless Steel Overbraid hoses are available upon request. The Sturgis strip wound and stainless steel overbraided (natural gas and low pressure propane) hoses feature: a fully interlocking metal core, no synthetic packing that can clog orifices, a 10% thicker jacketing which is temperature resistant to 240 degrees Fahrenheit, a 400 pound longitudinal pull strength, a U.S.-made hose that will remain flexible in cold temperatures, a hose that will not kink or crush, a metal core certified to UL360, CA360 brass on all parts, and a hose that has permanently attached interlocking end fittings. These improved Sturgis appliance connectors meet or exceed the temperature, pull, and crush requirements of the ANSI Z21.54 standard for portable appliance connectors. Such connectors are commonly used with outdoor residential cooking equipment, outdoor commercial and non-commercial cooking equipment, construction heaters, residential patio heaters, generators, and many other gas appliance hose applications.